Invincible Tiger: The Legend of Han Tao hits the Xbox Live Arcade and PlayStation Network this week. 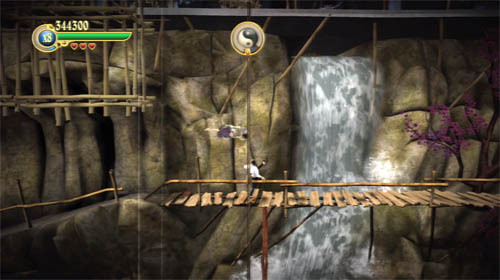 The game is a two player co-op beat em up set in 70's kung-fu style action. Blitz games has unleashed a new trailer showing off some gameplay from the game. Sadly there's no co-op to be seen in the trailer. It's ok, they make up for it. Oh yes - that's a Five Point Palm Exploding Heart Technique you spot. Don't forget to check out our co-op interview with Blitz Games as well!